Fee-only fiduciary helping families achieve peace of mind through comprehensive financial planning, disciplined investing and behavioral coaching. Eric Laumann, CFA is a Wealth Advisor and Financial Planner at Clearwater Capital Partners, a Registered Investment Advisor (RIA), in the northwest suburbs of Chicago. Investment Management - Wealth Management - Estate Planning Strategy. Blog. In Greek mythology, the Sirens used seductive songs to tempt men and overwhelm their ability to think rationally. Anyone who heard these enchanting voices would adjust course and willingly smash their ships against the rocks. But what were the Sirens actually singing about? What could possibly work on all who passed through their straits? We want answers. We want to connect the dots. We want to believe everything is knowable. And as investors, we too are bombarded by spell-binding Sirens that sound believable. Predictions and ideas spouted with such conviction that we are tempted to adjust our current path in the hopes of something more. The following are three Siren Songs investors will need to guard themselves against if they are to stay on course. The Siren Song: Trust me, I know what is going to happen. Market timing is possible! 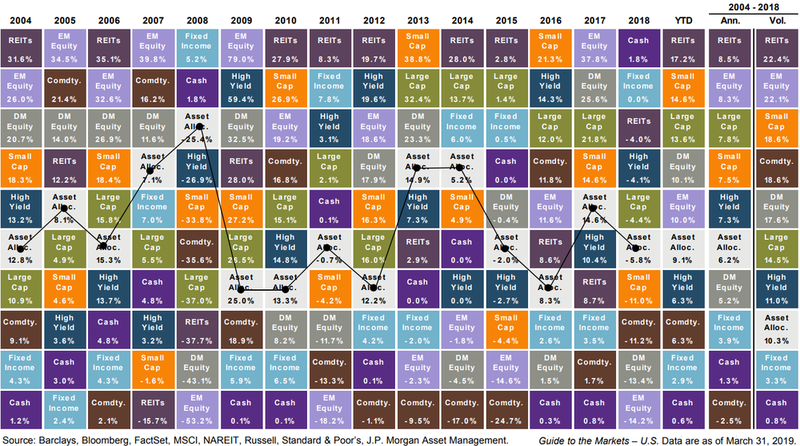 The Reality: To paraphrase Peter Lynch - far more money has been lost by investors preparing for corrections, or trying to anticipate corrections, than has been lost in corrections themselves. The risk of being out of the market is greater than the risk of being in. Stay invested. The Siren Song: Turn a blind eye to costs and watch our active managers outperform! The Reality: Decades of research and dozens of studies have shown active managers fail to outperform the very benchmark they are trying to beat. Due to compounding fees, transactions costs, and tax consequences - the odds are heavily stacked against anyone looking to consistently “beat the market” over the long-term. That doesn’t mean it can’t be done. But it’s impossible to know in advance which managers will be in the lucky 5-10% over a 15-year time horizon. The Siren Song: I made so much money on [insert single stock ticker]! The Reality: They will only tell you about their winners. While concentration might be a shortcut to build wealth, it’s also the fastest way to destroy it. Diversification and proper asset allocation protect us from our inability to predict the future. The randomness of the following quilt highlights how return streams for risky assets are unknowable. So while everyone else destroyed themselves on the rocks, how did Ulysses survive his encounter with the Sirens? He placed beeswax in the ears of his oarsmen to block the irresistible songs. He tied himself tightly to the mast and commanded his sailors to ignore his pleas for release. In short, he recognized the inescapable dangers awaiting him and created a system to ensure success. With an infinite number of ways to invest and market Sirens singing sweet songs, you need a process that is logical, evidence-based, and has emotional guardrails in place to keep you invested. Only then can you have the confidence to tie yourself to your portfolio and survive the treacherous times. A mechanical engineer by training, I worked at a proprietary trading firm as a volatility trader and portfolio manager for a decade. After witnessing the unrelenting efficiency and complexity of markets, I decided to help families achieve financial peace of mind through comprehensive planning, disciplined investing and behavioral coaching. I am now a Wealth Advisor at Clearwater Capital Partners, a fee-only, fiduciary advisor. I hope you find the content helpful.